Urban Cottage Industries have ran a blogger competition, “Let There Be Light”. Here is my entry, a blog post containing two of my images – one showcasing natural light and one showcasing artificial light. It was a very hard choice as I love photography, but I had to choose one piece from Durham Lumiere festival that I recently attended. An art instillation that took my breath away. The other, showcasing natural lighting, shows a charming local scene. Simple, beautiful and honest. What two images would you choose? This year we attended the Durham Lumiere festival and saw some incredible light installations around the historic town. ‘What Matters’ art piece blew us away with its magical, beautiful presence. 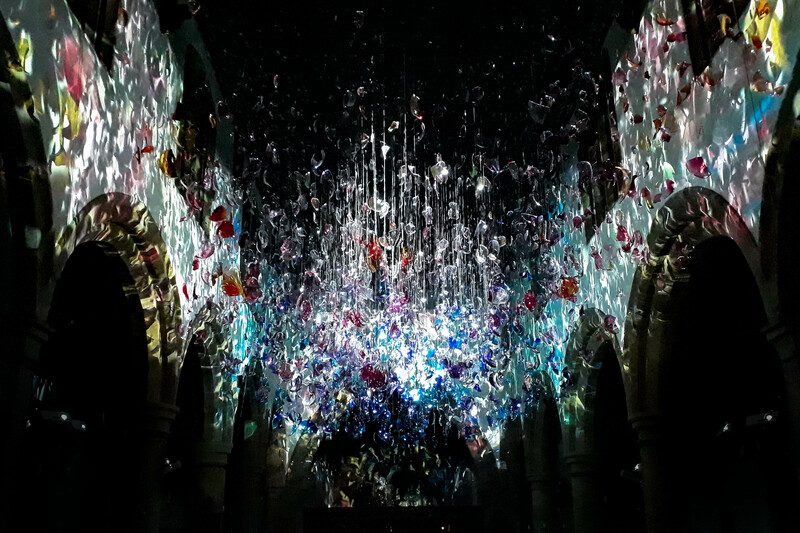 The piece consisted of immersive light and glass installations inside St Oswald’s Church. Hanging from the church roof were thousands of hand-blown glass pieces depict the birth of light in the universe. Shards of glass hung from a truss system at the top of the church, spraying light and colour throughout the church – a universe of colour around the church. Following with church’s as a little bit of a theme is this rather spectacular churchyard. 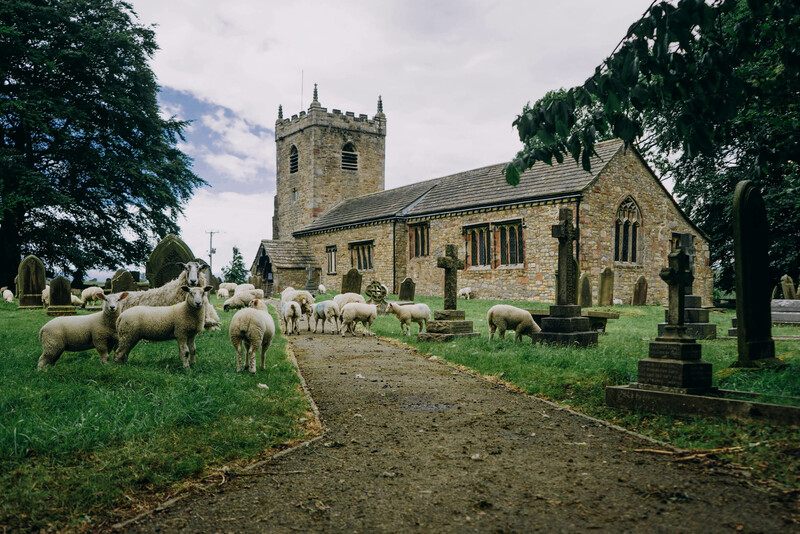 We passed by the Parish Church of All Saints Broughton With Elslack and could not believe our eyes. Have you ever seen a more Yorkshire scene?! We instantly took our cameras out of our bags; it was too good an opportunity to miss. So different, unstaged, but equally as magnificent!